A new video game allows players to pose as Russian ultranationalist terrorists and massacre civilians with assault weapons in an airport. Call of Duty: Modern Warfare 2 is set for release Nov. 10, in time for the American holiday shopping season. Its predecessor sold 14 million copies and earned myriad “game of the year” awards. But the latest incarnation is drawing fire. 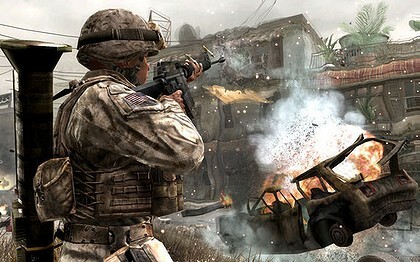 The game allows players to pose as terrorists — and play in first-person view — engaging in violence against non-combat actors. Australia rated the game MA15+, or suitable for children 15 years of age or older. “Australia is one of the only Western democracies without an adult (R18+) rating for video games,” the Sydney Morning Herald notes. A local critic who runs the Australian Council on Children and the Media said that she didn’t feel the 18+ rating was enough. It means that children as young as 15 will be able to slaughter civilians in realistic fashion. “The consequences of terrorism are just abhorrent in our community and yet here we are with a product that’s meant to be passed off as a leisure time activity, actually promoting what most world leaders speak out publicly against,” Jane Roberts said. “If that material was on the internet about how to become a terrorist, how to join a group and how to wipe out people – that would be removed because it would not be acceptable,” she added. This video is from smh.com.au, broadcast Oct. 28, 2009. This video is from Youtube, broadcast Oct. 28, 2009.